330 Gallon Tote - Heating Blanket IBC/Tote Tank Heaters Rapidly heat a wide variety of materials in plastic or steel IBCs Ensure constant and safe temperature of material Install easily and fit nearly every standard tote tank Feature powerblanket patented heat spreading technology The powerblanket 330 gal. IBC/Tote heaters are flexible wrap around surface heaters that deliver a barrier of heat to temperature sensitive materials. 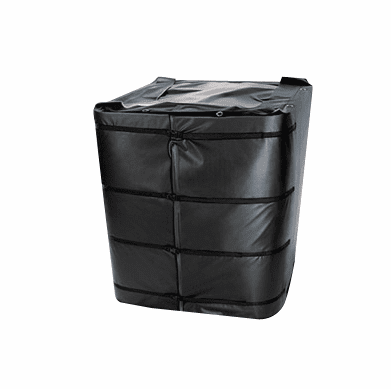 They fit nearly every standard 330 gal IBC/tote tank, utilizing adjustable nylon straps. 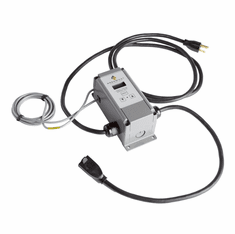 Adjustable thermostatic controller, 8THERMO, comes standard with all heating blanket IBC/tote heaters. 1,050 W, 8.75 amps. Heaters arrive ready-to-use. Plugs into a standard 120V outlet. Digital Thermostatic Controller for Power Blankets Heating Blanket | Ships For Free!